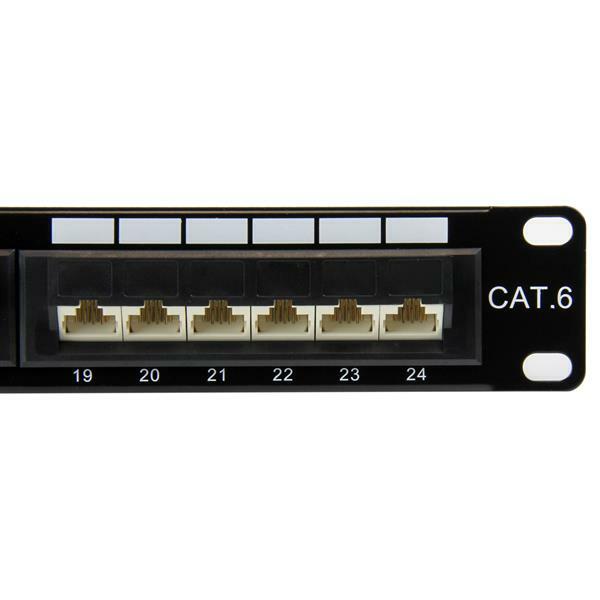 The C6PANL4524 24 Port 110 type Rack Mount Cat 6 Patch Panel is color coded for both T568A and T568B wiring providing the perfect solution for any voice or LAN application. 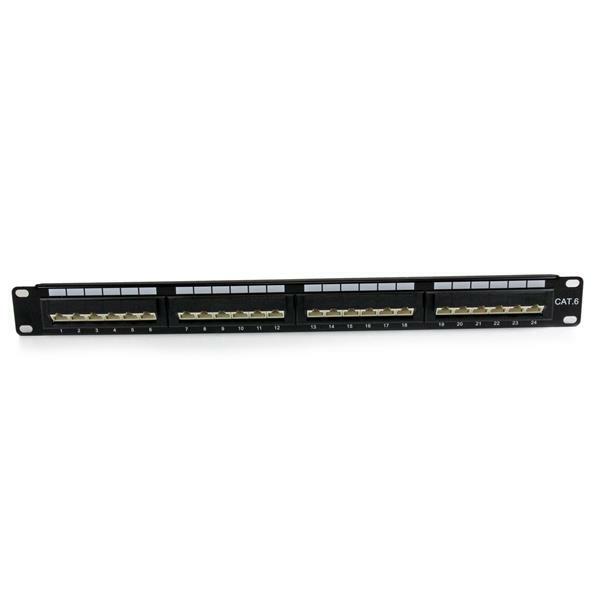 The patch panel offers 45° downward tilted ports and 110-type termination. Plus, the port numbers are clearly marked on the back of each RJ45 port, offering a quick and easy way to identify cable runs. 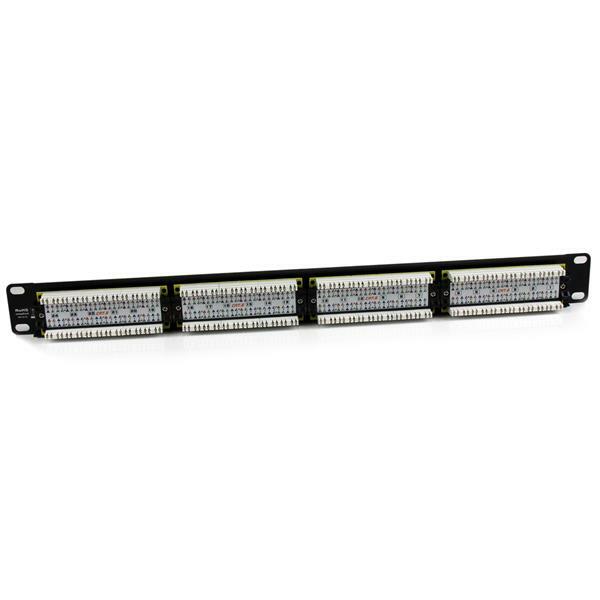 Durably constructed of only top quality materials, this 24-port Ethernet patch panel is backed by StarTech.com’s 2 year warranty.